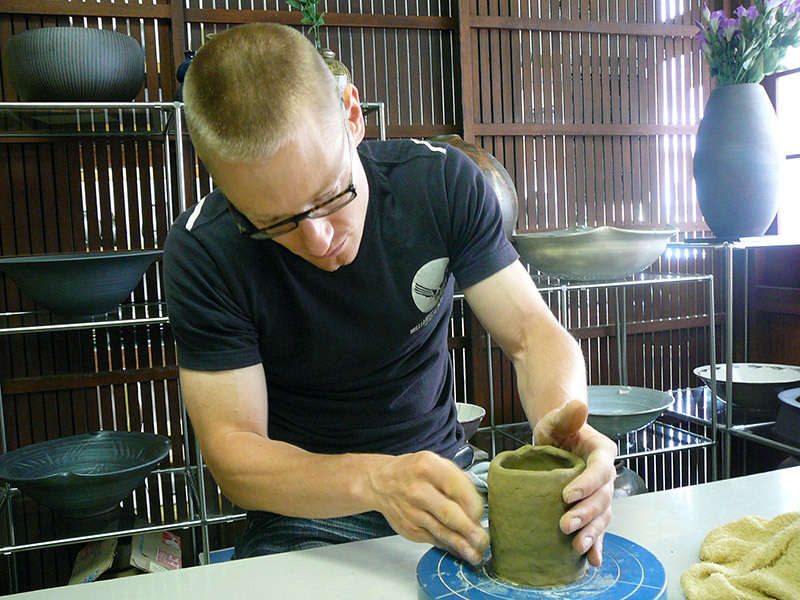 Mori Otani Pottery Studio Rich with history and hands-on experiences. Situated in the mountains of Shikoku and detached from mainland Japan, the Mori Otani Pottery Studio remains one of the island's best kept secrets. Although just outside of Naruto City, like most of Shikoku's best attractions, Mori Otani ducks the radar of most tourist plans and guide books. If anything, this exclusivity makes a visit to Mori Otani all the more intimate and worthwhile. My first look at Mori Otani's featureless storefront and parking lot did nothing to spark my imagination. The dark, plain building looked more like a nondescript factory than a historical site of valuable cultural heritage. But to step through the doors was to enter a different world. The fragrant odors of Otani Pottery struck as soon as I stepped foot into the doorway. An earthy fragrance hung in the air and the dark wood of the building's construction gave it a natural, antique impression. My imagination sparked and I suddenly felt I had arrived at the right place. A quick glance around the interior left me wondering whether it was a workshop, store, or museum. Mugs, plates and bowls lined plain, open air shelves. Though the items seemed museum worthy, they weren't displayed that way. Price-tags proved the items were for sale, but did nothing to take away from their beauty. Glossy finishes mingled with matte, smooth surfaces sat alongside the rough. Dark, earthy browns and grays helped bring out the contrasting deep blues. Despite the variety of textures and colors everything felt subdued, natural, and beautiful. At Mori Otani, work and living seemed to go hand in hand. A homey looking tatami floor complete with a refrigerator sat behind the counter and cash register. A television blared the news, a reminder of the reality that melted away upon entrance into the shop. Like many of Shikoku's artisans, Mori Otani continues the cultural arts of past generations for current generations to enjoy. The long building I had entered continued on, connecting to what looked to be a back room. I had assumed the area was off-limits to customers, but I was mistaken. What I had taken for a small workshop was the true storefront. I had entered through the back. 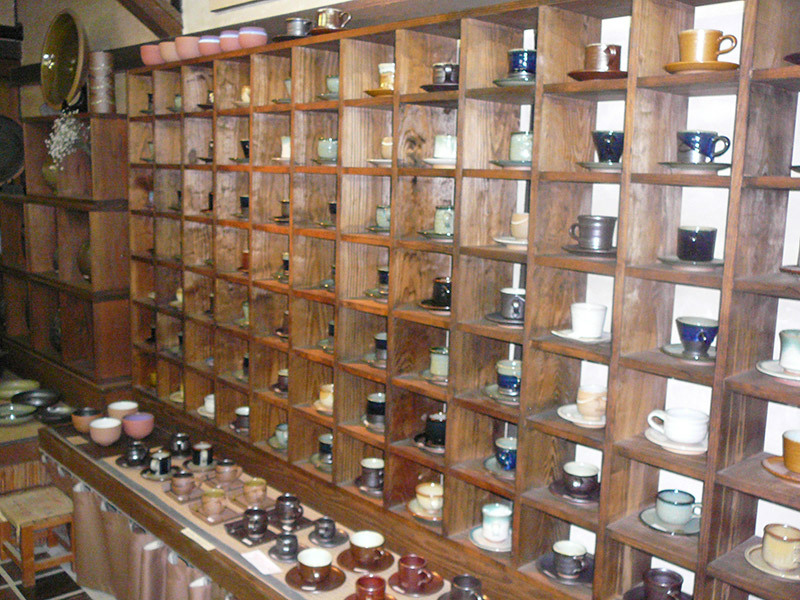 This room housed smaller plates, mugs, and bowls – housewares fit for casual, everyday customers. Beautiful items lined the well kept shelves. Another register sat on top of another counter-top – this time without tatami, tv, or refrigerator. This part of the shop gave a more professional, sales-oriented impression. It was the actual storefront, after all. After taking in the array of styles and colors I headed outside, to Mori Otani's true entranceway. Welcome to pottery wonderland. Pots of all sizes sat, scattered about in such a way that a casual observer, like me, might question their value. Why were these left about outside? They were fit for a museum! Giant garden bowls made for water lilies sat terraced upon small hills. Giant pots overshadowed me when I stood next to them. Dripping water echoed in the background, the result of special pots made to catch the drops. 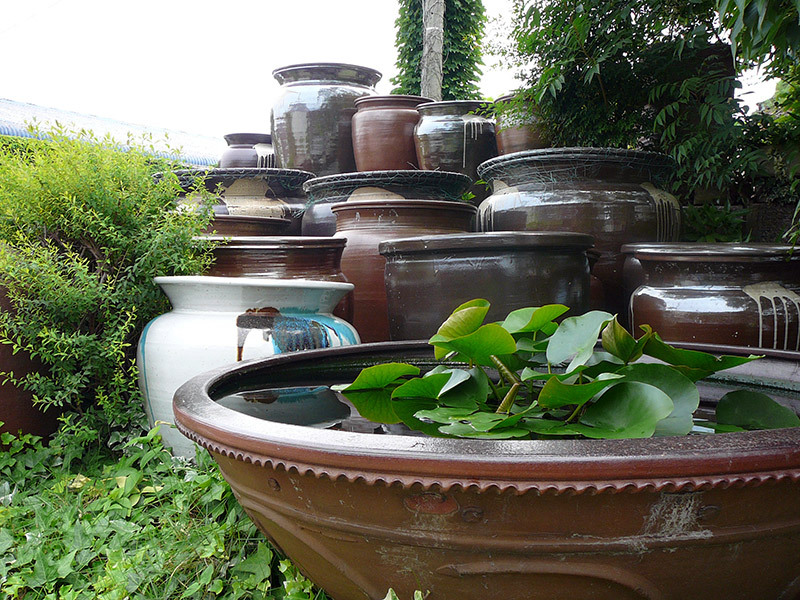 My friend pointed towards a small hill lined by even more pots, "Come with me." We scaled a staircase and stood before a cave, large enough to fit four standing adults. The sand floor crunched as we entered. This "cave" served as a giant kiln fit for baking the large pots that littered the storefront. As impressive as they appeared, the giant pots seemed impractical, even as garden decorations. The low lying pots held lilies and the water catching pots made cool sounds, but the giant pots didn't seem to have any aesthetic purpose. Who would buy such big pots? What were they for? 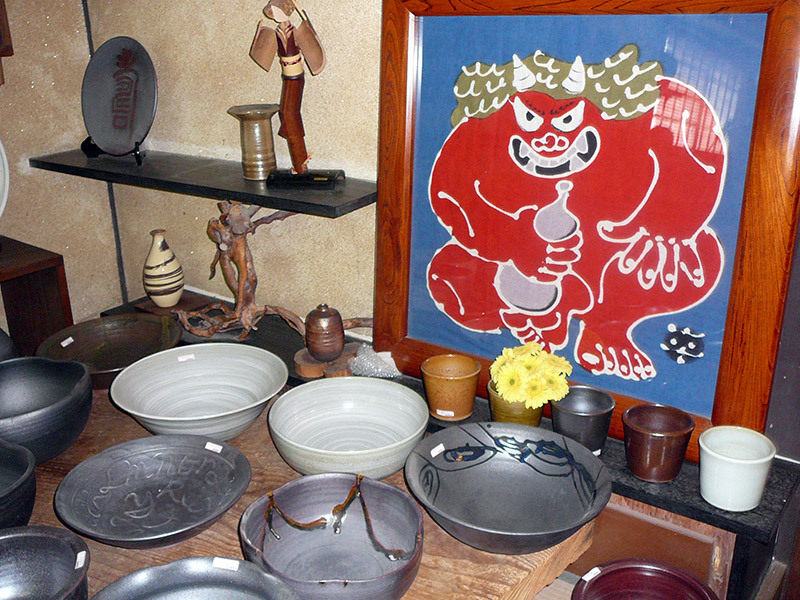 According to its brochure, Otani pottery's tradition spans over two hundred years. The traditional practice endures in the face of new manufacturing techniques and cheaper imported wares. 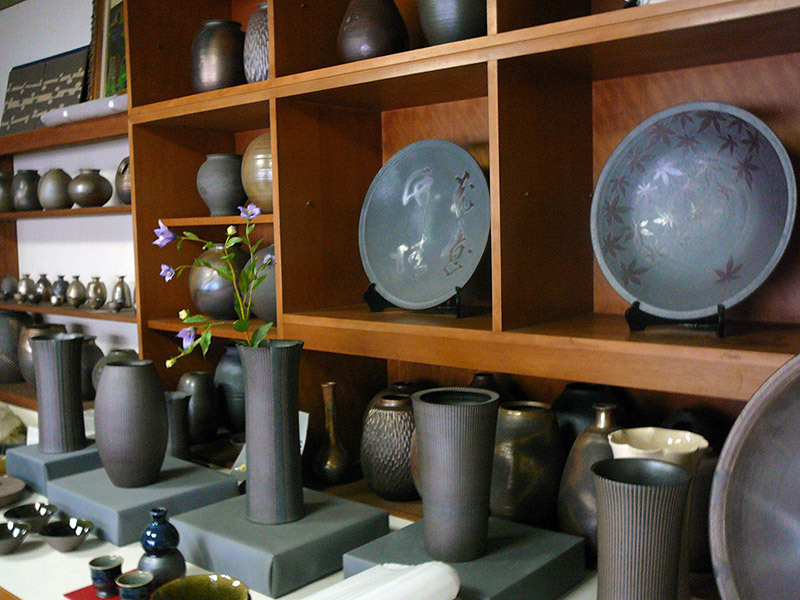 Otani Pottery has garnered a reputation as a respected traditional handicraft with a rich cultural heritage. Their brochure states, "In 1780 Bunemon, a potter from Kyushu visited Otani village… where he demonstrated the use of a potter's wheel to villagers." 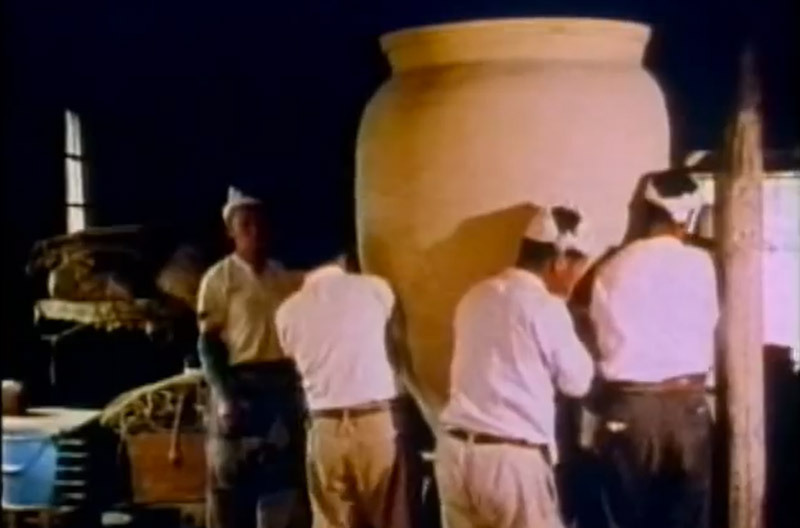 To make Otani's trademark giant pots, two people man the giant "nerokuro" potter's wheel. The Otani style represents true cooperation. One artisan shapes the clay from a stool or ladder, while the other lays on the ground, using his feet to spin the giant wheel. Amazed at what he saw, the village chief had Bunemon construct a kiln and make some pottery. Eventually news reached Awa's (current day Tokushima) clan leader Haruaki Hachisuka, who had a kiln of his own constructed in present day Naruto. 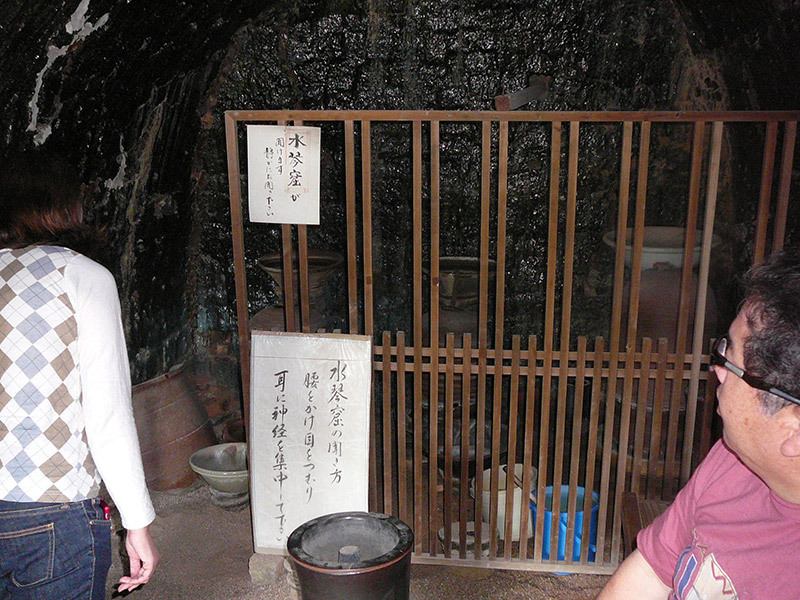 According to the legend, the region's characteristic blue and white pottery began at the Naruto kiln. Although Otani Pottery continues today, according to Mori Otani's brochure, its history was nearly short lived as pottery fell out of favor in the late 1700's. But Tokushima's indigo dying industry saved the art. As tenugui artisan Takimoto Somesho explained in our interview, Tokushima's indigo dying techniques allowed for the creation of beautiful blue cloth, a rare color that was difficult to dye at the time. Sensing an opportunity, a merchant named Bungoro Kaya teamed up with the potter and built a new kiln in Otani where they perfected the Otani pottery style that continues today. "By the end of the 19th and during the beginning of the 20th century, large jars for indigo dye were being produced." Why Naruto? Although bridges connecting Tokushima prefecture to Kobe have made travel to Shikoku easier than ever before, the lack of train and Shinkansen access makes traveling there inconvenient today. Now imagine the situation in the 1700's, before the bridges, automobiles, and modern ferries. Naruto's isolated location makes it a precarious place for the production of goods for commerce. But the city, nestled between Tokushima and Kagawa prefectures, had a unique natural resource at its disposal – its clay. "The clay for this work is extracted from an area along the Sanuki Range, which extends from Tokushima Prefecture into Kagawa Prefecture. It is this clay which produces the distinctive rustic quality of the ware combined with the faintest of metallic sheen." 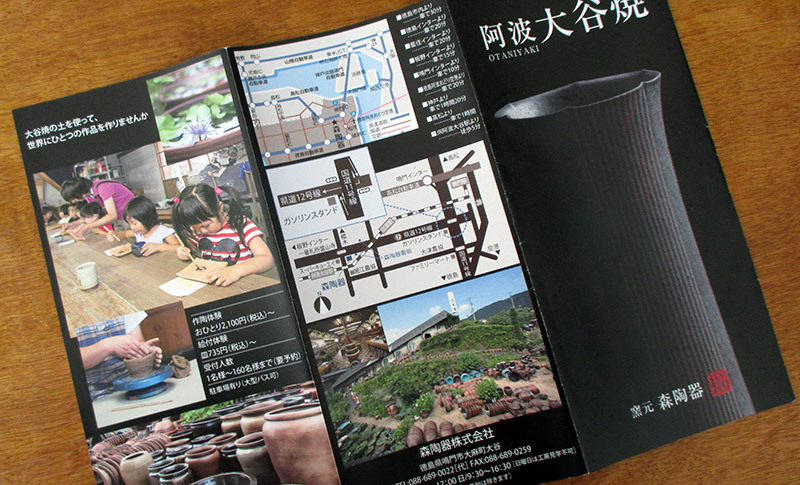 The Mori Otani brochure touts the special earthen clay of the area that can be made thin but strong. 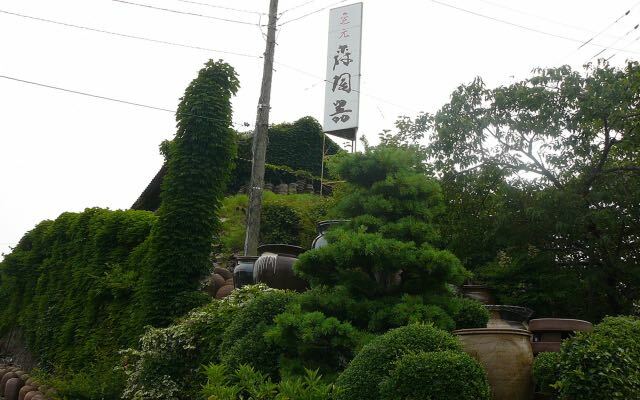 With such a specialized natural resource, it was only natural that Otani pottery develop in Naruto. At the time, Tokushima specialized in indigo dying, but no plastics or metal barrels were available to store the dyes. Otani's giant pots allowed artisans to store mass amounts of indigo dye, and therefore helped spur the mass production of indigo-dyed products. 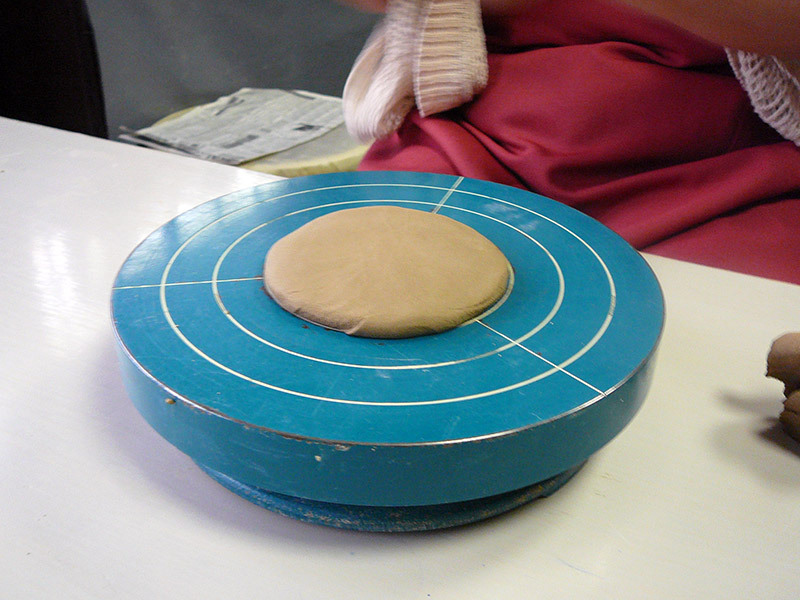 The combination of specialized clay and indigo dying, Tokushima's two local specialties, fueled the development of and the need for Otani's giant pots. 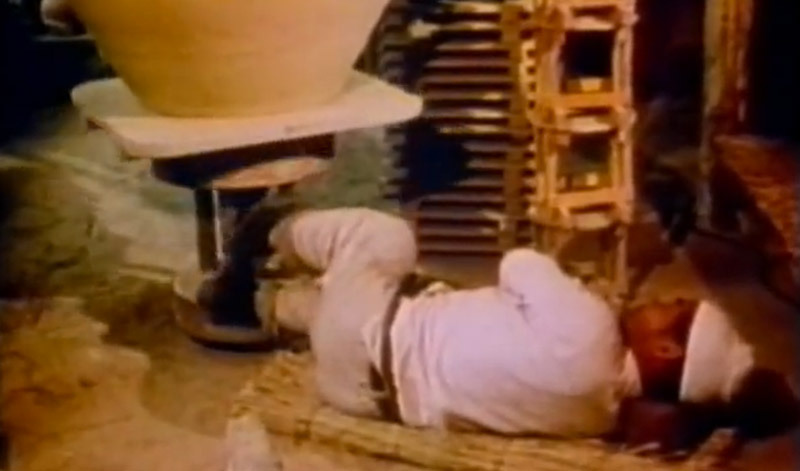 When I first approached the pottery wheel, I couldn't help but imagine the famous scene from Ghost. In the movie Patrick Swayze and Demi Moore use a different two-man style to get down and dirty and touchy and feely while "cooperating" to make a clay pot. My host explained that the day's technique would vary from both the movie and Otani's two-person style. 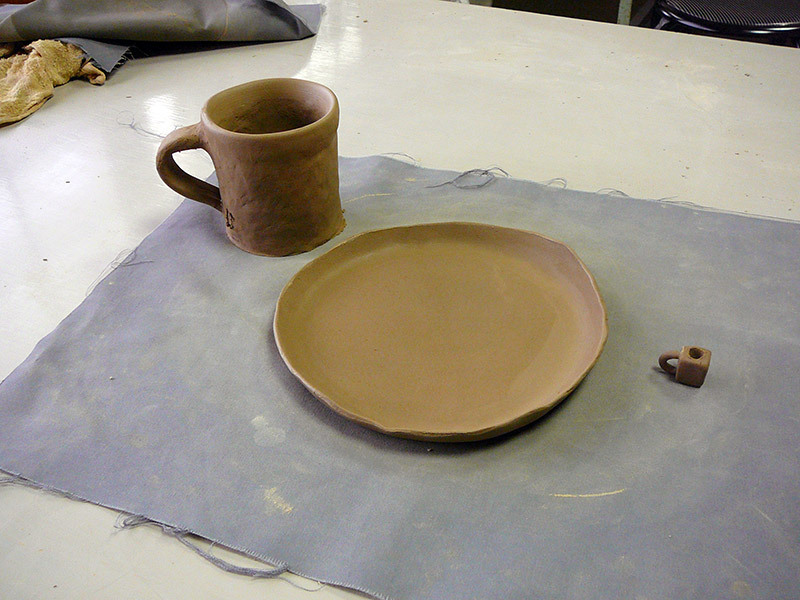 I'd make my mug and plate using a pottery style that originated at the dawn of human civilization. Instead of constantly spinning a lump of clay on a wheel à la Ghost, humanity's ancestors rolled coils of clay between their palms. These coils were then layered to form the outside walls of the pot or cup. In the time-consuming, detailed process, the maker adds coils one-at-a-time, pushing and combining the layers by hand. The wheel allows the artisan to turn the work-in-progress, providing easy access at any angle. 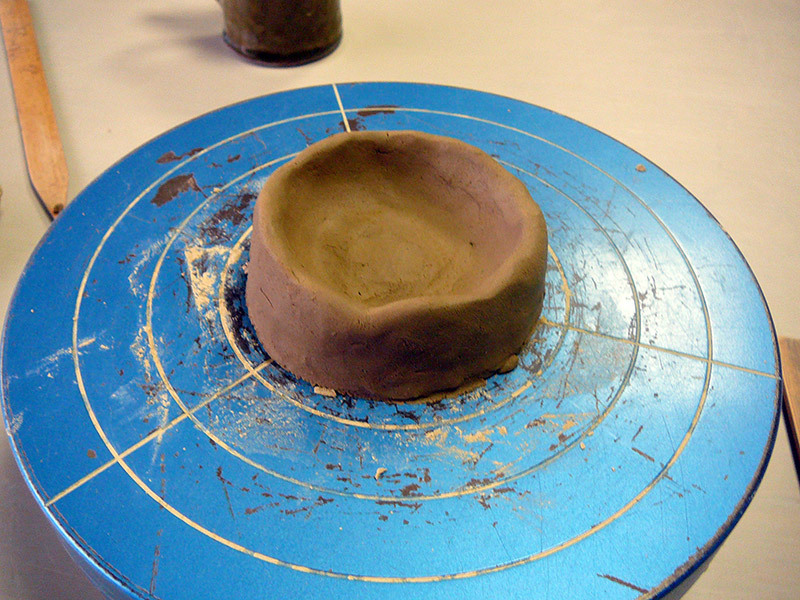 To start, I had to flatten out the clay and cut out a small circle fit to become the bottom of my soon-to-be mug. 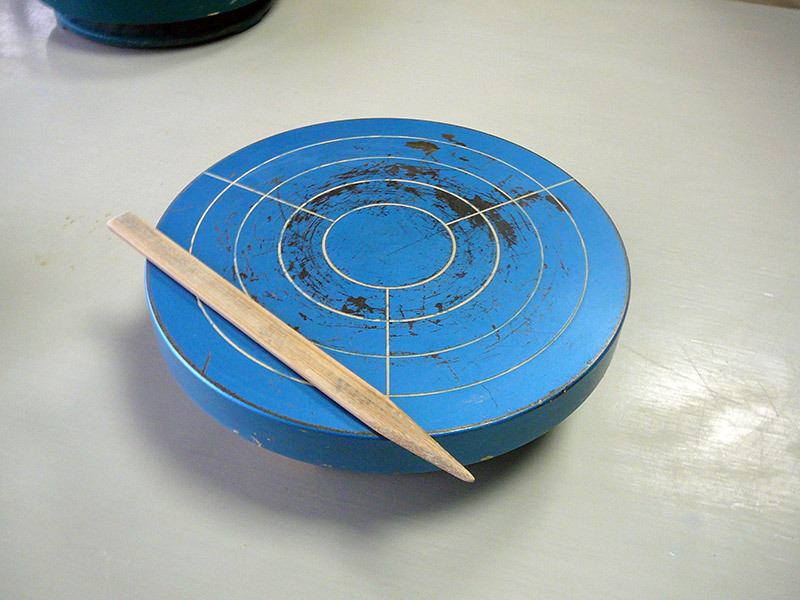 Since the clay shrinks when baked in the kiln, it's important to make the bottom bigger than the desired size. 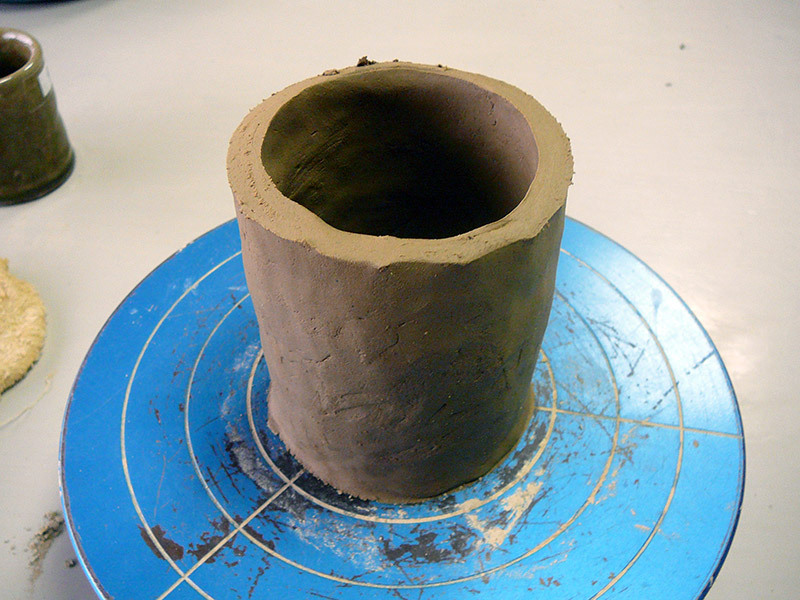 Next my instructor showed me how to affix and meld the long coil of clay to the base. We pushed the coil, adhering it to the clay base while using our fingers to thin it out and smooth the seams until they disappeared. At first it looked like a hunk of mud! But a few coils later it began to resemble a rough mug, perhaps similar to those used by our great, great… ancestors. Here I'm trying to smooth out the seams and imperfections. We cut the top off with a metal wire, evening it out and giving it a pleasing, uniform look. After smoothing the lip of the mug with a damp cloth, we prepared to affix the handle. Now it's looking like a mug! We made a plate with the leftover clay. 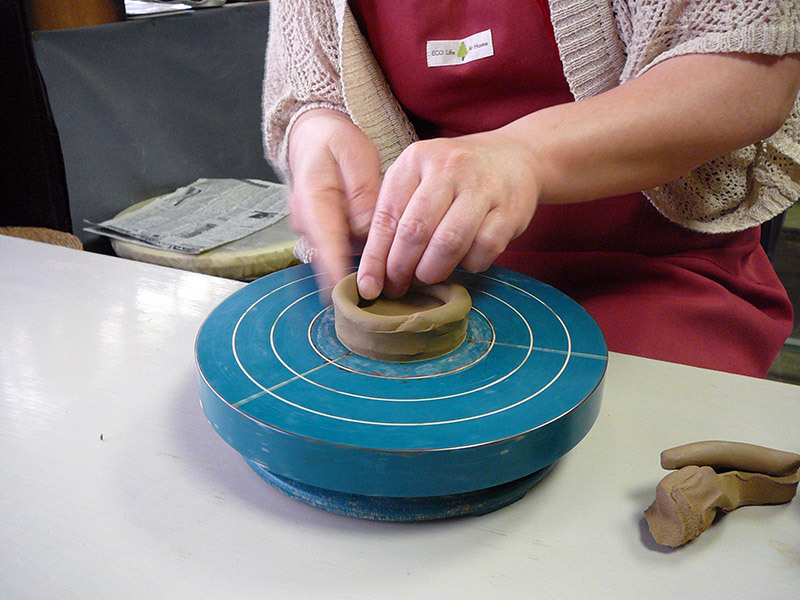 The process involved rolling the clay out into a circle and then pulling and shaping the plate's edges. I decided on a color, initialed my mug and plate and set them aside to be colored and baked. I didn't color it myself, but my instructor told me it involved a special paint that would be baked in. 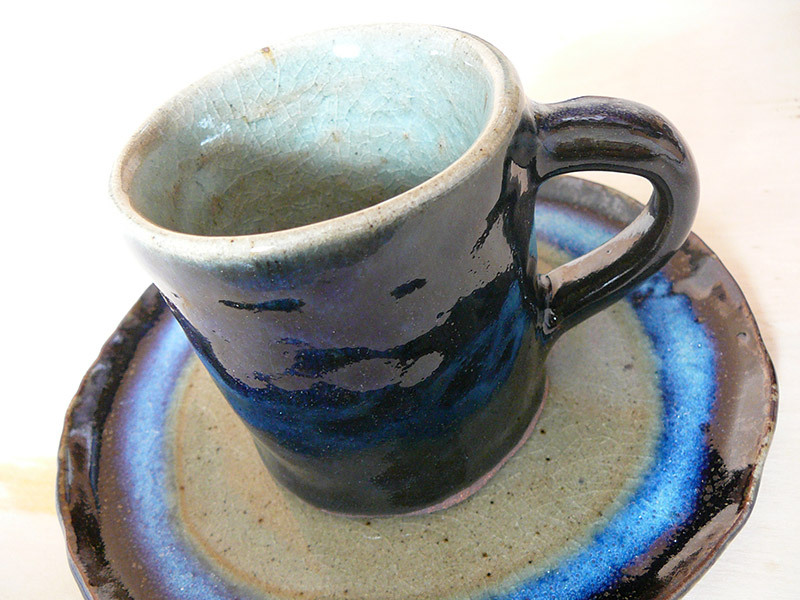 The mini mug was a joke – it would not make the final cut. A few weeks later I received a call that my mug and plate were ready. The finished product is pictured above. I love the deep blue color! Although specialized large pots helped Otani pottery to survive to the present, the demand for them has nearly disappeared. Mori Otani's studio is adapting to the times, focusing on smaller handicrafts and house-wears. The studio's owner and head-craftsman Yukio Mori explains, "We don't have an Otani flavor. It's our weakness but it also means that we can be flexible. That's our battlefield right now. It's a question of whether we should develop a solid style or open up in a flexible way" (Geisinger). 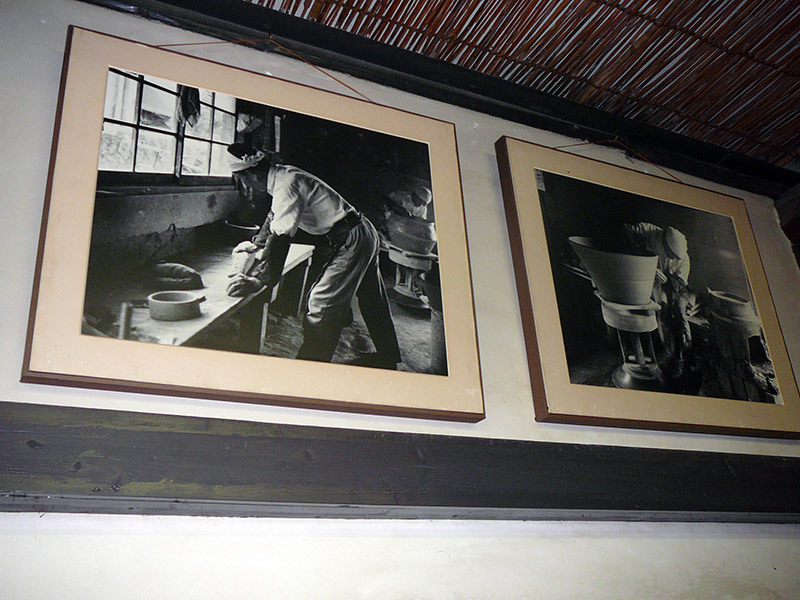 Born in Tokushima Prefecture in 1959, Yukio Mori started the handicraft in 1984 and became head of the kiln in 1996. Since then, his products have been featured in prestigious exhibitions, even winning an award at the 2002 Japan Folkcraft Exhibition. A year later, Mori Otani received acknowledgment as a national traditional handicraft. 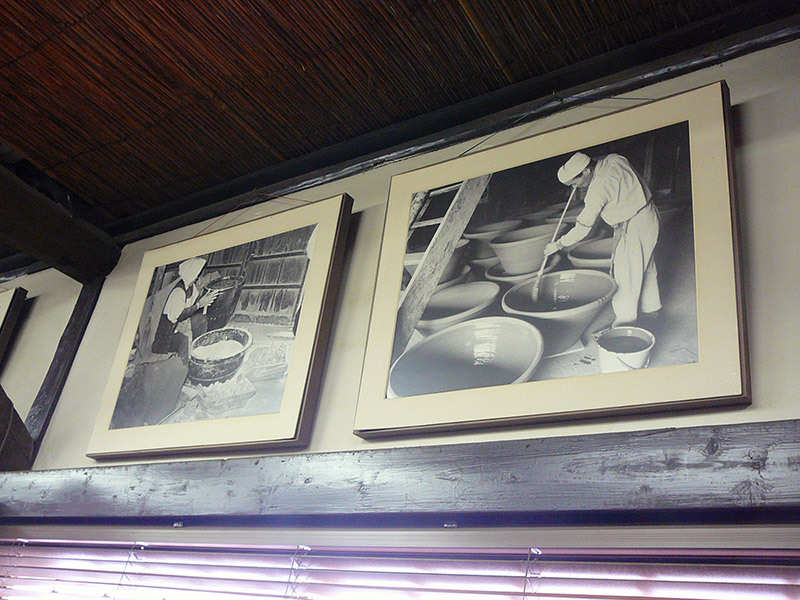 Despite diminishing demand, the production of Otani's specialty pots has yet to cease thanks to its historical importance. Yukio Omori states, "That is why we go on making them (the large pots) because the idea of ever being without them is just unthinkable." To think, I had been living in Tokushima for eight years before learning of Mori Otani! 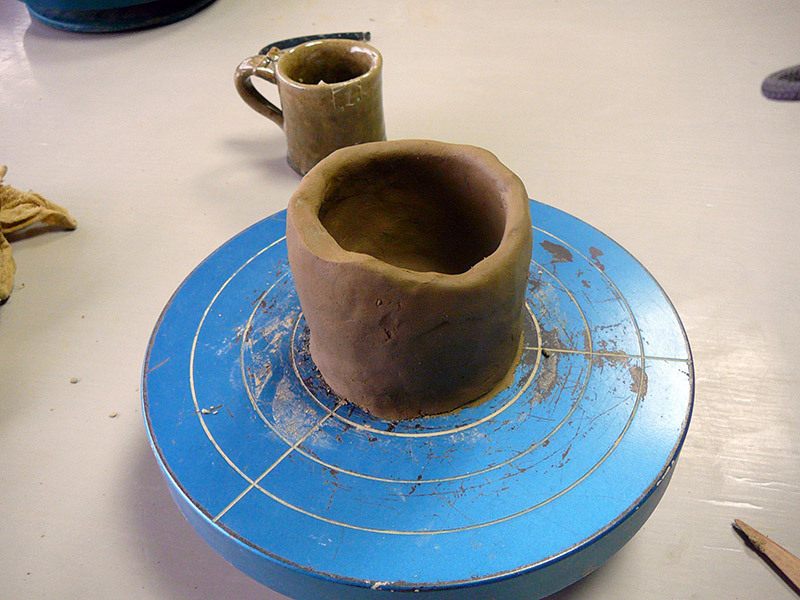 The entire enterprise, from the smallest cup to the giant pots and kiln, amazed me. If you're in Tokushima and want to pay the Mori Otani Pottery Studio a visit check out the information below. 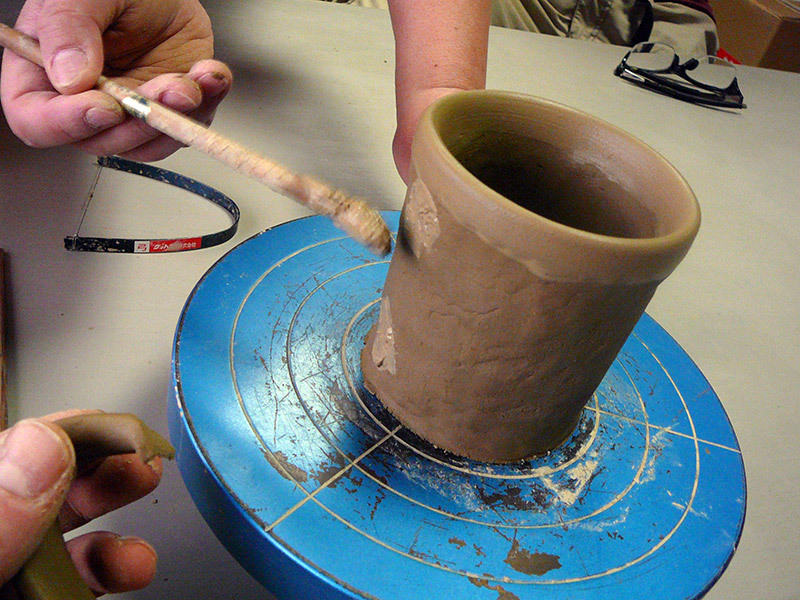 Make sure to contact the studio early to find out about making a mug of your own! But if that's not part of your plans, the store offers a variety of wares for any price range, so it's easy to bring a piece of the Otani tradition home. For more information on Japanese pottery, please check out Matthew Macewan's The Road to Understanding Japanese Pottery. Mori Otani is just one specific example of the rich and varied craft! You can get information through TOPIA (Tokushima Prefectural International Exchange Association) by email topia@topia.ne.jp or phone 81-88-656-3303. Hard to get to. Need a car.